Might have to knock on my neighbours door 2 houses away and ask to pay for their vdsl and hook up to their network haha. 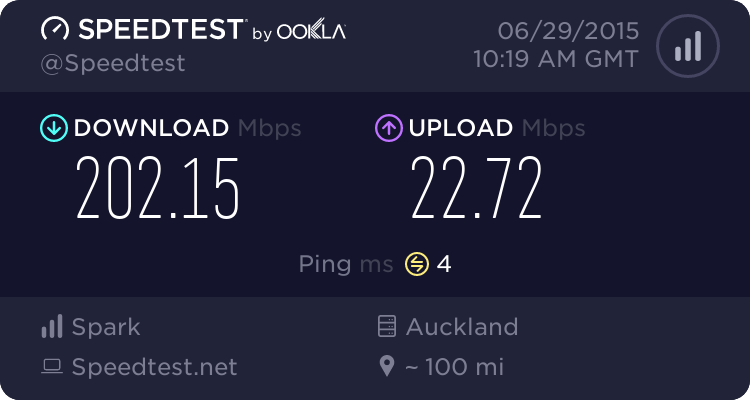 ekul: Might have to knock on my neighbours door 2 houses away and ask to pay for their vdsl and hook up to their network haha. heh, even still, theirs wouldnt be the best going off your stats..
heres hoping the manual prequal goes your way, and a clean up of your internal wiring will do it! Is it Snap saying VDSL isn't possible - or is it Chorus? In which case there is no point in asking another ISP for VDSL. 21db downstream attenuation is very high/bad. It may well be you are at the end of a cable run from somewhere, and your neighbour is fed from another cabinet - not much you can do about the route the cables have originally been installed all those years ago. I was on 4Mbp/s in Takapuna then we got cabinetised (in 2011), Then we got 18Mbp/s and i was over the moon. As far as I've seen the map go it isn't accurate. Been quoted by a few that yes I can have VDSL and even my line stats allow me to have VDSL. kiwikiwi: As far as I've seen the map go it isn't accurate. i used to live house that was reported by chorus's map to be in the >5mbit zone. turns out it was about 200M by the road from a cabinet which it was connected to, or about 600M by cables. while the maps arent always correct, they give you a good idea.